AIU News . Student essay · Education for evolution + Education + Culture + Science + Technology + Art + Design + Body + Mind + Spirit + Environment · Telecommunications . About AIU . This Conference will be held 5-6 November 2015 at the Catholic University of America in Washington DC, USA. 2015 Special Focus: Inter-generational Relationships. With an increasing aging population its more important than ever for the generations to learn how to relate to each other. The current review period closing date for the latest round of submissions to the Call for Papers (a title and short abstract) is 14 April 2015*. Please visit our website for more information on submitting your proposal, future deadlines, and registering for the conference. If you are unable to attend the conference, you may still join the community and submit your article for peer review and possible publication, upload an online presentation, and enjoy subscriber access to The International Journal of Aging and Society. *Proposals are reviewed in rounds adhering to monthly deadlines. The current review period closing date for the latest round of submissions to the Call for Papers (a title and short abstract) is 18 February 2015*. Please visit our website for more information on submitting your proposal, future deadlines, and registering for the conference. If you are unable to attend the conference, you may still join the community and submit your article for peer review and possible publication, upload an online presentation, and enjoy subscriber access to Spaces and Flows: International Conference on Urban and ExtraUrban Studies. *Proposals are reviewed in rounds adhering to monthly deadlines. Check the website often to see the current review round. March 2, 2015. AIU wants to congratulate one of our students, Kenneth Okocha for his recent achievement. Kenneth has written an article title: “International Organizations and Conflict Resolution: A Theoretical Framework”, that he has developed during his studies with AIU, has been published by the American Open Political Science Journal. Kenneth has completed a Doctorate program in International Relations in Atlantic International University. We wish Kenneth the best on all his future projects and we congratulate him for his great achievement. February 23, 2015. AIU wants to congratulate one of our students, Charles Agwu for his recent success. Charles wrote an article named: “Research Paper on Market Structures and Models: A Situation Analysis”. His effort has been recognized and published on the Web in the International Journal of Management and Commerce Innovations. 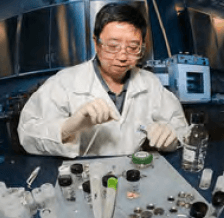 Charles is a student in our Doctoral Program and we are very proud of his achievements, and we hope that he continues with this success, that is a byproduct of the effort and dedication that he has always shown. Congratulations in behalf of Atlantic Intenational University. Call For Papers. This Conference will be held 2-3 November 2015 at the University of California, Santa Cruz in Santa Cruz, USA. 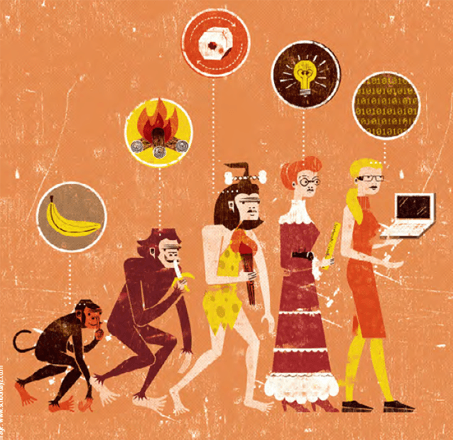 2015 Special Focus: The Future of Education: Advanced Computing, Ubiquitous Learning, and the Knowledge Economy. 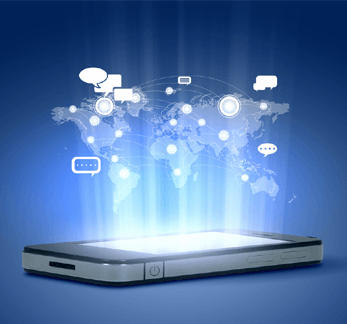 The digital revolution represents a sea change in the nature of learning and education. Information and communication technologies are transforming academic research and scholarship —introducing a new platform for knowledge and learning. Alongside cloud computing and virtualization, AI and high performance computing are now poised to reshape the nature and scope of education. The current review period closing date for the latest round of submissions to the Call for Papers (a title and short abstract) is 7 April 2015*. Please visit our website for more information on submitting your proposal, future deadlines, and registering for the conference. If you are unable to attend the conference, you may still join the community and submit your article for peer review and possible publication, upload an online presentation, and enjoy subscriber access to Ubiquitous Learning: An International Journal. *Proposals are reviewed in rounds adhering to monthly deadlines. Check the website often to see the current review round. Call For Papers. This Conference will be held 22-23 April 2016 at the University of Hawaii at Manoa in Honolulu, Hawaii, USA. 2016 Special Focus: The Sustainability of Tourism and Leisure. In these times of unprecedented social, economic, and environmental change, the conference will attempt to map an agenda that addresses fundamental questions about the spaces and practices of leisure and tourism and explore sustainable courses of action for the leisure and tourism industries. The current review period closing date for the latest round of submissions to the Call for Papers (a title and short abstract) is 22 March 2015*. Please visit our website for more information on submitting your proposal, future deadlines, and registering for the conference. If you are unable to attend the conference, you may still join the community and submit your article for peer review and possible publication, upload an online presentation, and enjoy subscriber access to the Journal of Tourism and Leisure Studies. *Proposals are reviewed in rounds adhering to monthly deadlines. Check the website often to see the current review round. 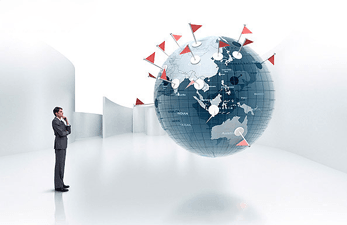 Academic Business Management Conferences (ABMC) with collaboration of world renowned academic institutions and corporate sector organize conferences on contemporary themes at different attractive places in the world. GCBMS-2015 provides a platform to meet 100+ professionals from 30+ countries, and enables presenters to publish with our strategic partners, ISI Indexed and Refereed Journals. Publication fee in associated journals of all presented papers shall be sponsored by conference secretariat. Call For Papers. This Conference will be held 19-20 April 2016 at the University of Hawaii at Manoa in Honolulu, Hawaii, USA. 2016 Special Focus: Climates of Change: Organizations in a Time of Ecological and Social Vulnerability. Organizations function like communities that have internal aspects: values, behaviors, and culture of the organization itself. What are the leadership opportunities in a time of environmental vulnerability and social uncertainty as organizations face society? What might be the shape of new modes of leadership exploring opportunities for the development of ethical models of organizational growth and the emergence of new sustainability practices? The current review period closing date for the latest round of submissions to the Call for Papers (a title and short abstract) is 19 April 2015*. Please visit our website for more information on submitting your proposal, future deadlines, and registering for the conference. If you are unable to attend the conference, you may still join the community and submit your article for peer review and possible publication, upload an online presentation, and enjoy subscriber access to The Organization Collection of Journals. *Proposals are reviewed in rounds adhering to monthly deadlines. Check the website often to see the current review round. Assignment: Develop a 5-10 page essay based on the guidelines below. 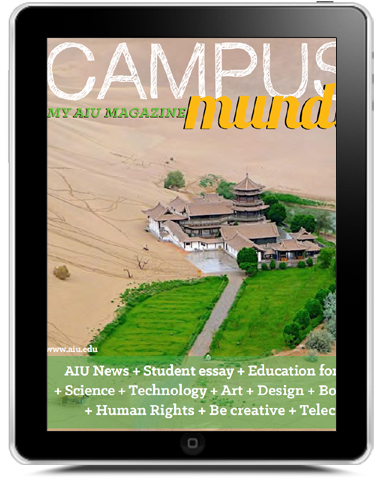 Be sure to use MyAIU and its elements to compliment the article. Bibliography (include at end of essay): Anker, Susan. Real Essays with Readings with 2009 MLA Update: Writing Projects for College, Work, and Everyday Life. Palgrave Macmillan, 2009.
www.aiu.edu/online/etempl/fin/pdf/Real_Essays-Susan_Anker2.pdf This AIU assignment uses the book, Real Essays with Readings. The link to the book is given above. This book teaches how to write essays. You will read different parts of the book to understand how an essay is written. Then you will write a certain kind of essay. The kind of essay for this assignment is Illustrating Examples. First, read the following pages: o Chapter 1, pages 1 – 21. (Basics of writing & organizing your schedule) o Chapter 2, pages 36 – 41. (Moving from reading to writing) o Chapter 3, pages 48 – 52. (Understanding the structure of paragraphs & essays) o Chapter 4, pages 62 – 73. (Developing your topic & prewriting techniques) o Chapter 8, 110 – 124. (Writing a draft) o Chapter 21, 369 – 374. (Use a list of works cited at the end of your essays.) Then you will read Chapter 11 on the essay of Illustration. Then you will write the essay using the knowledge covered in the above readings. This essay assignment requires you to give real examples from your own life experience to support an idea that you develop in an essay. This is a very powerful form of supporting your essay’s main point. Examples create a profound impression upon the reader of your essay. If your examples are good, the reader will most likely agree with your ideas. The reader will also better understand why you personally think the way that you do. “I will like to categorize my experiences in these major contexts: Economic, Professional, Socio-Cultural and Academics. Economic. My vision as a student from childhood was to gain my doctorate at a reasonable period of time. I realized that my major impediment was going to be financial. AIU not only helped me to achieve such a dream, but also did that at a reasonable cost. The flexible payment plan coupled with it’s comparative low cost made AIU an ideal and economically prudent place for my study. Professional. Professionally, the training at AIU has enhanced my decision making skills in the fields of Operation, Finance, Relationship Management and Strategy. This was possible through the wider references made available at the University library and various books read during the course. I made personal visits to companies to understand their operational challenges, and how they overcome these challenges. Socio-Cultural. The demands of AIU gave me an opportunity to relate with people from diverse cultural and social backgrounds. This has changed my way of life and thoughts towards people and places in the world. I have tried to rethink the way I see people and accept their views on an issue while I pursue my professional endeavors. I have come to accept that every situation is a learning one and everyone irrespective of his social and economic background has something meaningful to share. I have built a network of professional from AIU which has started yielding some results in my professional and social life. A book I read during the course ‘Fractal Time’ has also changed my view about this world and how things happen therein. Academics. Knowledge, they say is power. AIU has helped me to acquire the requisite power deserving of an Academic. The flexible, self-learning experience, self-curriculum development, referencing and consultation in the academic process at AIU make you unique in Academia. Professor S. N. Lartey, one of my consultants in Ghana once said “an intelligent person is the one who can search for what information he wants and use it to solve his problem. I think Atlantic International University has implanted that power in me and they have logically made me an intelligent person to face all the challenges of life and profession. AIU, in a nutshell, has helped me to experience quality in Academic, Social, Cultural, Economic and Professional pursuits as I expected. I wish to admonish all and sundry to make Atlantic International University the University of choice in their academic pursuit. Thank you to the Tutors, Advisors and Staff of AIU. Long Live the University! “My learning experience with AIU has been challenging yet rewarding. My dreams had for many years been to acquire a degree in Civil Engineering, but it was not easy for some reasons including time and financials. However I did not stop until September 2013 when I found AIU while surfing on internet. In fact it was not easy to make a decision to contact the university because I was worried about getting into online scam. Many products online are not regulated and neither do educational institutions. AIU with its dedicated and well organized tutors, advisors, a powerful online library, and the method of payments, curriculum design and the flexible learning calendar has grabbed my attention than any other online university that I have ever conducted. I would like to express my heart feeling gratitude to the entire AIU team, the tutor, advisors for their unconditional support they rendered to me though out my study at the university. Ms. Renata De Silva for example is actually the one who convinced me and gave me guidelines that eventually made me successful. The AIU online library is a powerful tool that has helped me complete my papers and as matter of fact it has made me understand the andragogy education better and how to cite sources throughout my degree courses. The hidden functionalities provided by the library has made me learn many other important things in life for example use of excel and many other in daily life. The library has really helped me accomplish my assignments smoothly. Although technology revolution has many benefits, online scams are reported every day making us aware and sometimes afraid of exploiting the use of new money transfer technology. However, AIU has a very convenient and flexible methods of payment For example Wire transfer is the method that I used throughout my payment transfer and it was awesome. Designing curriculum myself has been a wonderful experience because I planned it to fit my needs in my carreer and this helped me solve the challenges facing the construction industry in my country. Although online education is challenging compared to traditional education, I would recommend AIU distance learning degree for it is the best and other online institution should adopt that. I will not hesitate to recommend my friends to pursue their degrees at AIU. In conclusion, I would say that studying with AIU has been remarkable and a milestone in my life. Ultimate goals in life can be achieved through continuous struggle. With this spirit therefore I will begin my masters degree of course with AIU before long. Recognition of the territory Within the configuration of each human being there skills and attitudes that show what their true skills for different areas in which they can develop. Now, Ciudad Bolivar is one of the most depressed areas of Bogotá City; besides its geographical constitution, infrastructure problems, illegal residents have educational deficiencies that limit their academic, artistic and cultural developments. To get to Ciudad Bolivar is necessary move south ends of the city, mountains begin to blur with aggressive ways to give notice to the city and the road to the eastern hills but where should I start a tour amid Nature only are houses, piled one upon another as if they were eruptions of the mountain. The ascent to Ciudad Bolivar is 3100 m; during the tour each curve gives the feeling of emptiness but also the image that meet a new world, one by one clump children behaving as spectators evidencing the arrival of a new character possibly leading new educational alternatives, dynamic or play with so isolated and high locality. Search Element Within each of these confines, endless stairs, houses anchored inside the mountain, children’s cheeks burned by wind and sun, of parents who work around the clock to provide a livelihood to its moderately family of stray dogs that are mixed between citizens and are the first peek at the entrances of schools or centers of education, and that is where we see those infants who are immersed in the most hidden of its being an element that will allow leave her so close and complicated Ciudad Bolivar to form a new life project. Some visionaries with the ideal of building a better country and a better society to present the world have stepped into this place marginalized to provide new areas of knowledge and socialization for children in the sector; achieved many of the children attend school journalism, dance, Capoeira, soccer and music with the goal of finding your Element and generate new life projects. Unfortunately the lack of support and resources prevents this job done long term and end when they finish the few income of teachers or when there is a notorious shortage of materials. Entering a classroom is to discover the sacrifices they make teachers with true vocation of service to generate new knowledge or discover the item in its students with biased elements within reach. A social communicator and journalist provides tools for children to generate their own opportunities for participation and dissemination of information, to start the process is performed with an exercise that allows students to know their level of creativity, writing and reading, this is the automatic writing. In this assault the unconscious innate abilities that have children on the outskirts of Bogotá for poetry, short stories and even music are discovered; likewise the rejection or aversion to generate some by the academy and study. What would these kids that show their artistic qualities in the exercise of automatic writing if your gift to be promoted as fine art? At the same time, a group of 30 children, mostly boys are located in the green area of the school that is only a small patch of dry land where they make their physical activities; and that is where they find the practice of Capoeira martial art mixed with dance that allows them recognition of a world and a different and alien to their culture environment; As in other practices this web of new opportunities and capoeira as an artistic expression of Ciudad Bolívar children reveal new possibilities, new talent; each has within itself an element that constitutes the axis propelling new talent. The practice of Capoeira Capoeira children requires the body and mind a willingness both to perform specific movements and coordinated follow the teachings and rules of behavior, such as organizing time to practice. Dance is the action or way of dancing. It is the execution of movements to the beat of the music that can express feelings and emotions. In children participating arts groups within these great promises of dancing and dance show; haplessly the existence of genres like reggaeton have only permeate the dance possibility of this population skewing his body language, artistic dimension and expression of Colombian folk music, Afro- Antillean music and other rhythms anything outside of sexism and misogyny. In conclusion, Colombia is a country with millions of surrounding elements in many children, unfortunately their immediate environment has not allowed his life plan is drawn from this virtue. Not the mere discovery of element but its strengthening, projection, unfolding and exposure is necessary, for this reason, the embodiment of the present Master in Sociology aims primarily to build a better society for Colombia to Bogota but above all fight to rescue the elements Day after day walking the steep streets of Ciudad Bolivar. The empirical concept we have of Education is people who have good manners or people with studies. From this we can infer there is an education that provides the society, it is called informal education, and another education where we have to go to a school, that is formal education. Education in a school means that there is an organization for it and it has a norm that we receive everything we have to do already programmed. What we have experienced is that everything that is organized in the school or college we attend, there are subjects that we do not like and wonder why we need them, what will I do from learning them. It is the way teaching and administration are integrated. comprising the system in terms of degrees and accreditation. The Descriptive Letters are exclusive to students, since being an international university each student can be a full person in their home and in the global society. I can see from the above that when I am admitted to college I accept everything that was determined in each of these areas. Miracle! There is a university that tells me: you can do within the elements that make up your own Curriculum your own Descriptive Charter, which is the subjects program you want to study. When they say that, it seems the world falls on me and I go: and, how will I do such a document, I need to be contacted, why do they not give it to me as in other universities; I am a teacher but they give me my programs ready-made; My God! who asked me to enroll in this university? To make your own Descriptive Charter it is the greatest gift you can receive because you can build the project of your life. What do I have to do? Find out what development projects has my country because they are what I am going to be working, see what international development projects are, find out what is the knowledge society because this is how we learn now, seek information about transdiscipline, have a project about what I want to be as a person, have information on what needs we have as a global society originated from values. With all these tools find the format the above is presented. The format tells me I need to put some goals, objectives of anything is what I intend to achieve. The description is what I will encompass: that’s the breakdown for each subject and means item by item how far it will go; activities mean what I will do to learn the subject with their subsections: I’ll do an essay, I’ll do a multiple choice set, I will build a project to solve this or that, with a likely extension of...; sources means, shall it be in books, magazines, shall I go to a company, to a lab? And finally, the bibliography, which is to detail each document or item identifying them perfectly to current science standards. I get the great opportunity of my life, to build what I now want to be, and given as I have grown I do not realize this is the greatest gift: I have my passport to be what I consider better as a professional, as individual and as a member of society that is my country and the global village that is the world in which we live today: can I have an activity where I live or across borders, given the communication society, besides managing the platform and doing my homework using the Virtual Library of AIU allow me to advance in the digitized world which I am part of it whether I like it or not. I have to bless the good decision I made and devote myself to study, to build the new person I will be. Happiness is not given away; we win it and here I go. A new parenting trend is on the rise. Some may know it as free-range parenting, and others from a bygone era will fondly remember it as the way that life once was. In past decades, kids would leave the house not to return until the street lights turned on. It was a time where smart phones, texting and tablets were non-existent, so there was no way of getting in touch with your child or your child getting in touch with you unless they ventured back home. Yet parents did not worry, and their children usually returned home safely, just in time for dinner. This all sounds like it was very normal and wholesome. A community of parents kept an eye on each other’s kids –it does take a village after all– and the child possessed a sense of independence to add to his or her set of life skills. So why is it that today the other village members appear to have gone mad? Parents are calling 911 on other parents, and in-turn these families are suffering from not just scrutiny, but harsh penalties like visits from child protective services or job loss. For example, after these Maryland free-range parents let their two children walk a mere half mile away from home, the kids were picked up by the cops, and then the entire family was subjected to visits from the local child protective agency. 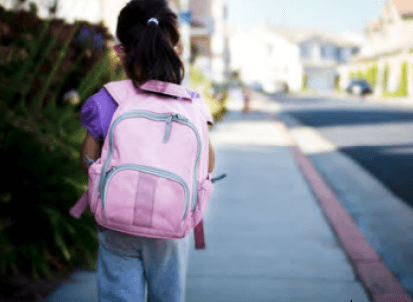 Free-range parents believe that letting their child stay home alone independently or walk to school by themselves is a way to create an independent and confident kid that will consequently grow to be a responsible adult that has retained those vital qualities. A free-range kid might carry a laminated card stating so, and it perhaps will also state that they are not lost. Anti-free-range parents who encounter these children often intervene in a manner that some would consider an overreaction –even if a child is not in distress or in need of any additional assistance. So what is the big deal? Let’s looks at some of the reasons why these other parents are getting so panicstricken by free-rangers. One reason is that in prior eras, society did a better job at looking out for each other’s families. Remember, the whole village thing. As a whole, neighbors were more neighborly, but particularly in the area of raising children. That was the case so much that in the 1950s and 1960s, parents would even discipline other people’s children, and that was thought of as completely normal. Furthermore, these days, both parents often work outside of the home, and the statistics of a family containing two working parents with children under the age of 18 is rapidly increasing. When school is not in session, it leaves a lot of time for kids to be unattended or looking out for themselves. Parents are not even available to help with their own children, let alone other people’s. This is no longer a world where one can rely on other moms to be available all day while they are homemaking, to serve lunch to the neighborhood children or at the very least, keep a watchful eye on them. Neighbors don’t borrow sugar, or welcome new folks with a basket of cookies, and we can’t keep our doors unlocked either. In reality, kidnapping and other crimes against children are climbing. As a matter of fact, an average of 2,185 children under the age of 18 are reported missing each day, statistics tell us. That means that more than 797,500 children go missing annually. While some cases are runaways, “Each year there are about 3,000 to 5,000 non-family abductions reported to police, most of which are short term sexuallymotivated cases. About 200 to 300 of these cases, or 6 percent, make up the most serious cases where the child was murdered, ransomed or taken with the intent to keep.” Still, the numbers also tell us that more children die in car accidents each year, than as result of crimes specifically against them. In a recent issue of Science, researcher Kevin Boehnke puts forth a compelling argument for what has long been known as a “well rounded” education, one that includes a sprinkling of humanities classes in a science education for the purpose of keeping scientific studies diverse. These classes are often regarded as a chore by science students, who are eager to return to the purpose of their work, but he points out that humanities education is important —yes, even for scientists. He’s joining a growing movement of researchers and authorities who believe it’s time for science to leap across the humanities gap. The move benefits not just science, but the world in general. However, it would require a retooling of science curricula, especially at schools with a focus on the hard sciences. Boehnke points to the fact that there’s a fundamental divide in how scientists and others approach information and challenges. Scientists tend to come up with clear hypotheses and questions, working to solve them through provable and repeatable methods –a researcher might want to illustrate how a chemical operates within a cell, for example, and would run a series of experiments to learn more about the process before writing them up in detail for other researchers. In the humanities, the very “facts” are questionable, highly malleable depending on who is telling them and why, and most questions are openended and unsolvable. We still don’t really know who Shakespeare was, for example, or the logic behind the decisions of great military leaders. For scientists, studying the humanities can be an exercise in frustration, as their training has accustomed them to clearly delineable situations that have provable answers, even if it takes time to arrive at those answers. Even unproved and unanswered theorems like some of those in math, such as the Goldbach Conjecture, are theoretically solvable, even if we don’t have the tools to do so right now. Meanwhile, those in humanities, accustomed to open-ended conversations that require critical thinking outside the box but often don’t arrive at ultimate conclusions, find the sciences intimidating and frustrating. Scientists joining the call for humanities education speak of the need to break their students and colleagues out of the “trap of certainty” and the tendency to insist on rigid and rules and explanations for the world around them. A team of engineering students and graduates at the University of Central Florida is making a difference in the lives of children —one bionic arm at a time. Using a 3D printer and lots of ingenuity and problem-solving expertise, the students found a way to create an electronic arm complete with a muscle sensor, enabling children without elbows, arms, or hands to use their biceps to make the prosthetic move. Each electronic limb takes 30-50 hours to create and costs around $350 to make, with cost of the limbs being covered through donations. Just as a reference, traditional prosthetics for children can cost up to $40,000 and are often not covered by insurance. So far, the UCF team has made electronic arms for five kids and is currently working with three more, although their services are in much higher demand. Each arm is personalized to reflect the child’s personality and interests, such as an obsession with Transformers or Frozen. One of our favorite parts of this all-around feel good story: through their nonprofit Limbitless Solutions and the 3D volunteer network E-Nable, the students uploaded their design for others to use for free. Designers Tanya Repina and Misha Repin have created LO-LO, a capsular microkitchen for the office. Each module is intended to hold one electrical appliance –kettle, coffee maker, microwave oven and complementary accessories –cups, plates, cutlery, tea, coffee etc. The objects may be easily located wherever they are needed around the workplace. Peanut butter and jelly. Soup and salad. Spaghetti and meatballs. There are a few classic pairings that will never go out of style. But some food duos do more than just excite your taste buds —they could even boost your health. It’s a concept called “food synergy.” While eating a variety of nutrient-rich foods is key for helping your body stay healthy, the idea is that some foods can interact in ways to provide even more value. So stick to eating your favorite superfoods, but know that serving these 10 combos could pack a more powerful punch of nutrition. 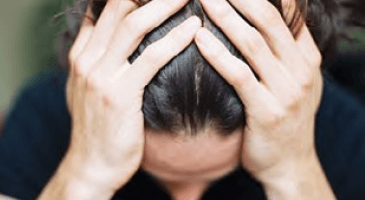 When you are in an abusive relationship, the greatest wound is the belief that you are a victim; causing you to live in great fear even after the abuse has ended. If you look deep, you’ll find out that you were feeling like a victim well before that relationship had ever manifested. You have to remember at the deepest level, that you are responsible for your own life. The opposite of victim is not survivor. The opposite of victim is creator. When you remember that you are the creator of your life, victimhood can no longer exist –and the wound is healed. Once we become aware of these beliefs, we have the opportunity to heal them, by over-turning them, declaring their falsehood and turning toward a higher truth, which in this case is I am the creator of my life. Even before we experience any traumatic events, most of us are socialized to believe that the world has power over us. So, when a traumatic experience does unfold, the idea of being powerless is already in our belief system. 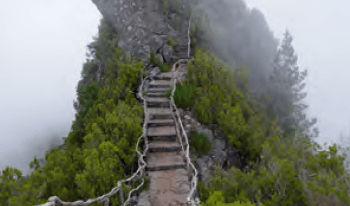 Healing from the Traumatic Belief of powerlessness is embracing ones intrinsic power –not the power that comes from control, but rather the power that originates in the core of your being and connects you to the universe and all that is. Of all the Traumatic Beliefs, worthlessness runs the deepest. We are programmed to believe that we are unworthy from the time we are very young. So when we experience trauma, and we search internally for a belief that will make sense of the experience, unworthiness quickly answers the question, “Why did this happen to me?” Of course, unworthiness is a false belief and therefore it must be exposed in order to be released. The good and bad news is that the pain will not go away until the false belief of unworthiness is released and you cease seeking proof of your worth in the outside world. Healing is attained when you discover and claim your unconditional worth. Drawing on her research, knowledge, and clinical experience, internationally respected neurologist –and mother of two boys– Frances E. Jensen, MD, offers a revolutionary look at the adolescent brain, providing remarkable insights that translate into practical advice both for parents and teenagers. Driven by the assumption that brain growth was almost complete by the time a child reached puberty, scientists believed for many years that the adolescent brain was essentially an adult one –only with fewer miles on it. Over the last decade, however, neurology and neuroscience have revealed that the teen years encompass vitally important stages of brain development. 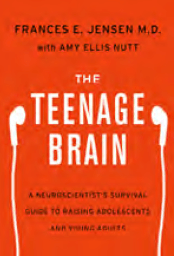 Motivated by her experience of parenting two teenagers, renowned neurologist Dr. Jensen gathers what we’ve discovered about adolescent brain functioning and wiring, and in this groundbreaking, accessible book, explains how these eyeopening findings not only dispel commonly held myths about teens but also yield practical suggestions for adults and teenagers negotiating the mysterious and magical world of adolescent biology. Up until recently, the village of Ramdegi was a bustling farming community in central India’s Tadoba-Andhari Tiger Reserve. Today, the village’s human population stands at exactly zero, though its streets and fields are now teeming with a different kind of life. As part of an ongoing effort to reduce human conflict with wildlife, the Indian government has been encouraging communities living in and around nature reserves to relocate for the sake of peaceful coexistence –and last month, everyone in Ramdegi did just that. Around 200 families agreed to accept incentive packages to move beyond the reserve’s borders, freeing the land to be reclaimed by the surrounding biodiversity. It didn’t take long before the village, now completely void of people, to be filled anew. A little over four weeks after the last human departed, Ramdegi is now home to herds of bisons, deer, antelope, and boars –grazing on the budding meadows that were once cropland and cattle farms. Predators too, once reviled by villagers for killing their livestock, are returning to Ramdegi. 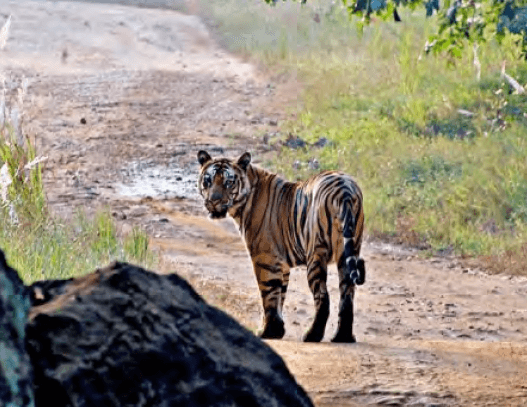 According to the Times of India, even a tiger has been spotted prowling the grounds of the empty village, free from dangerous and often deadly conflicts with humans that have driven the species to ‘endangered’ status. This is not the first time an entire village has moved out so nature could move in. Across India, nearly a hundred communities have already voluntarily relocated to widen tiger reserves, and dozens more are expected to follow suit in the years to come. Human ingenuity may be unmatched in its ability to tame wild landscapes for our own ends –but as Earth’s other inhabitants struggle in the resulting wake, human capacity for compassion in making room for nature just might prove to be the greatest quality of all. Mount Everest, once imagined to be a pristine and foreboding emblem of nature, is now full of human waste, and that waste is causing pollution issues and spreading disease, according to officials in Nepal. The chief of Nepal’s mountaineering association, Ang Tshering, recently said that the 700 annual visitors to the mountain are leaving behind special treats that the Nepalese aren’t down for. The human feces and urine can be found in such great amounts that no one’s quite sure what to do with them. Tshering added that the Nepalese government needs to do a better job making sure climbers clean up after themselves. There are four camps between the base camp and the summit but none of these camps have toilets. Climbers typically dig holes for their waste, but Tshering says they’ve been doing this for years and now the waste has piled up around the camps. At base camp waste is stored in drums which are transported to lower elevations when full. 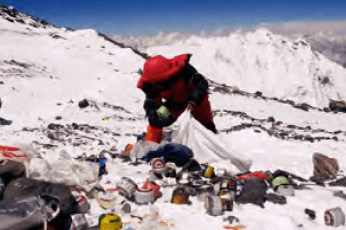 Though there isn’t a plan in place for dealing with the waste at the camps above base camp, the government currently requires each climber to carry out 18 pounds of garbage when they leave, or risk losing a $4000 deposit. Industrialized countries sure have an off-putting way of treating their elderly citizens. By the time people get old they’re viewed as a burden to society and are separated from the general population. Even if the care for seniors in retirement communities is good, the residents are still likely to experience feelings of isolation. One retirement home in Deventer, Netherlands has helped squash the generational divide though, by inviting six college students to move into the building. The students at Humanitas are not employees, just younger people who live and eat alongside the 160 seniors who reside there. It’s an experiment that has led to plenty of cross-generational interactions. 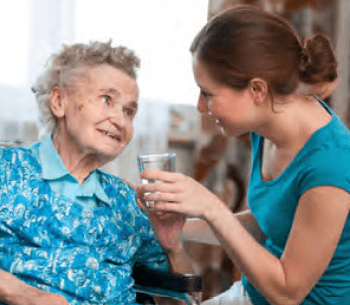 While the Humanitas staff takes care of the typical work of running a retirement community, they’re generally too busy to attend to the residents’ social needs. That’s where the college students come in– they’re there to be friendly faces to the residents and ensure that lonely residents aren’t feeling isolated. For an average of an hour each day, the students socialize with or assist their neighbors at minor tasks. One student, Jurrien, teaches residents how to use the computer so they can better keep in touch via the internet with people outside of the retirement building. It’s not an entirely selfless act for the students, either. For volunteering their time they pay no rent at Humanitas, easing the financial problems that many young full-time students face. On the whole, the students seem happy with the accommodations at the retirement home, noting that if they were to find their own apartments they would be paying too much for half the space, which they’d have to share with a roommate. Because of the layout at Humanitas, the students each get their own private room, kitchenette, and bathroom. As expected, the generational gap does lead to some differences in lifestyles. The younger residents at Humanitas don’t have to sacrifice relationships with their peers to live in the home, and are permitted to bring friends and romantic partners over for visits. Hundreds of rhinos are butchered each year by poachers who kill them for their valuable horns. 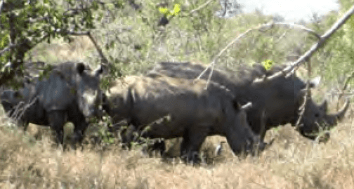 “Rhino horns are highly prized in traditional Asian medicine, where it is ground into a fine powder or manufactured into tablets as a treatment for a variety of illnesses such as nosebleeds, strokes, convulsions, and fevers” World Wildlife Fund (WWF) explains. Shimpei Takahashi always dreamed of designing toys. But when he started work as a toy developer, he found that the pressure to use data as a starting point for design quashed his creativity. 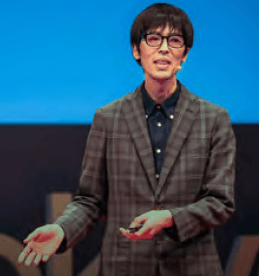 In this short, funny TED talk, Takahashi describes how he got his ideas flowing again, and shares a simple game anyone can play to generate new ideas. “Hello. I’m a toy developer. With a dream of creating new toys that have never been seen before, I began working at a toy company nine years ago. When I first started working there, I proposed many new ideas to my boss every day. However, my boss always asked if I had the data to prove it would sell, and asked me to think of product development after analyzing market data. Data, data, data. So I analyzed the market data before thinking of a product. However, I was unable to think of anything new at that moment. (Laughter) My ideas were unoriginal. I wasn’t getting any new ideas and I grew tired of thinking. It was so hard that I became this skinny. (Laughter) It’s true. (Applause) You’ve all probably had similar experiences and felt this way too. Your boss was being difficult. The data was difficult. You become sick of thinking. Now, I throw out the data. It’s my dream to create new toys. And now, instead of data, I’m using a game called Shiritori to come up with new ideas. I would like to introduce this method today. What is Shiritori? Take apple, elephant and trumpet, for example. It’s a game where you take turns saying words that start with the last letter of the previous word. It’s the same in Japanese and English. You can play Shiritori as you like: “neko, kora, raibu, burashi,” etc, etc. [Cat, cola, concert, brush] Many random words will come out. You force those words to connect to what you want to think of and form ideas. In my case, for example, since I want to think of toys, what could a toy cat be? A cat that lands after doing a somersault from a high place? How about a toy with cola? A toy gun where you shoot cola and get someone soaking wet? (Laughter) Ridiculous ideas are okay. The key is to keep them flowing. 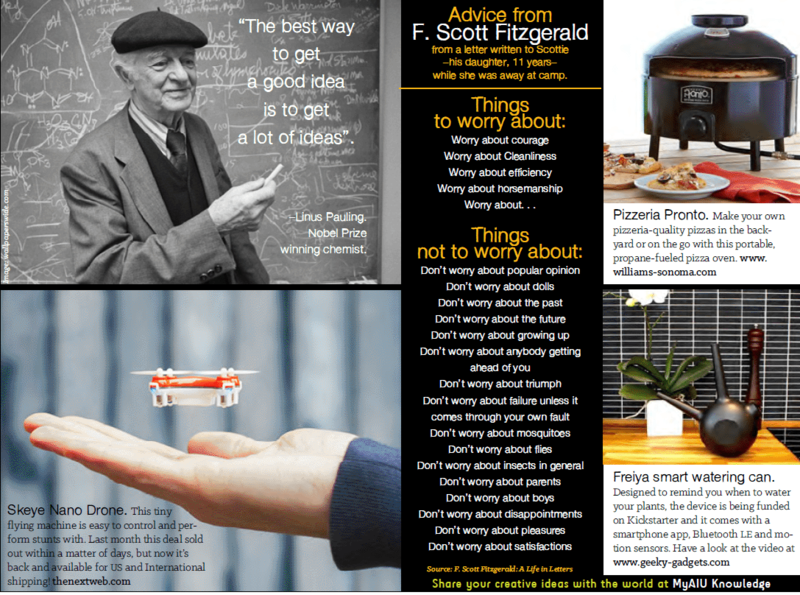 The more ideas you produce, you’re sure to come up with some good ones, too. A brush, for example. 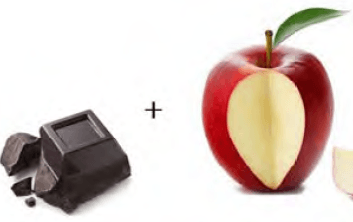 Can we make a toothbrush into a toy? We could combine a toothbrush with a guitar and –(Music noises)– you’ve got a toy you can play with while brushing your teeth. (Laughter) (Applause) Kids who don’t like to brush their teeth might begin to like it. Can we make a hat into a toy? How about something like a roulette game, where you try the hat on one by one, and then, when someone puts it on, a scary alien breaks through the top screaming, ‘Ahh!’ I wonder if there would be a demand for this at parties? Ideas that didn’t come out while you stare at the data will start to come out. Actually, this bubble wrap, which is used to pack fragile objects, combined with a toy, made Mugen Pop Pop, a toy where you can pop the bubbles as much as you like. It was a big hit when it reached stores. Data had nothing to do with its success. Although it’s only popping bubbles, it’s a great way to kill time, so please pass this around amongst yourselves today and play with it. (Applause) Anyway, you continue to come up with useless ideas. Think up many trivial ideas, everyone. If you base your ideas on data analysis and know what you’re aiming for, you’ll end up trying too hard, and you can’t produce new ideas. Even if you know what your aim is, think of ideas as freely as if you were throwing darts with your eyes closed. If you do this, you surely will hit somewhere near the center. At least one will. That’s the one you should choose. If you do so, that idea will be in demand and, moreover, it will be brand new. That is how I think of new ideas. The Bachelor of Telecommunications (BS) program objective is to help students develop the knowledge and skills necessary to design and commission, monitor, optimize and manage both small-scale and complex telecommunication systems. The Bachelor of Telecommunications (BS) program is offered online via distance learning. After evaluating both academic record and life experience, AIU staff working in conjunction with Faculty and Academic Advisors will assist students in setting up a custom-made program, designed on an individual basis. This flexibility to meet student needs is seldom found in other distance learning programs. Our online program does not require all students to take the same subjects/courses, use the same books, or learning materials. Instead, the online Bachelor of Telecommunications (BS) curriculum is designed individually by the student and academic advisor. It specifically addresses strengths and weaknesses with respect to market opportunities in the student’s major and intended field of work. Understanding that industry and geographic factors should influence the content of the curriculum instead of a standardized one-fits-all design is the hallmark of AIU’s unique approach to adult education. 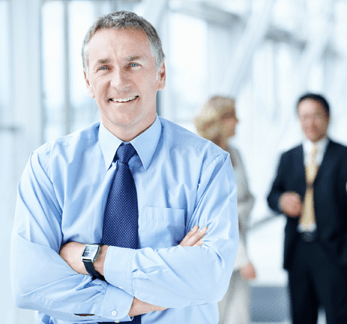 This philosophy addresses the dynamic and constantly changing environment of working professionals by helping adult students in reaching their professional and personal goals within the scope of the degree program. Each Bachelor of Telecommunications graduate is encouraged to publish their research papers either online in the public domain or through professional journals and periodicals worldwide. • Enjoy technical and engineering activities • Able to perform routine repetitive tasks as well as non-routine or highly analytical tasks • Able to show initiative • Good with hands • Normal color vision • Able to work at heights and in confined spaces • Good customer service and public contact skills • Able to work as part of a team • Able to work independently • Prepared to undertake continuous training and development.